Equipped to handle mechanical repairs, preventative maintenance, and inspections for all your cars, trucks, and SUVs. Our automobile repair services at Coletta's Garage can handle all your automobile, light truck, and SUV repairs, from oil changes to engine jobs. 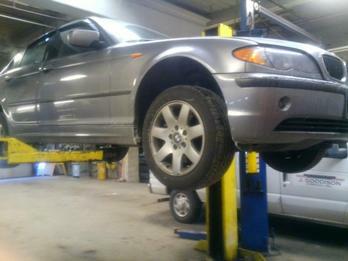 Between our experienced technicians, computers, and scan tools, we are able to services all types of automobiles, both foreign and domestic. We are also an authorized NAPA Auto Care Center, providing both you and your vehicle even more benefits than most repair facilities. Our heavy duty repair services at Coletta's Garage can handle all your heavy duty truck, tractor, trailer, and off-road equipment repairs. Between our experienced technicians, computers, and scan tools, we are able to services all types of heavy duty vehicles, both foreign and domestic. Between our day and night shifts, and our weekend shift, we are able to work on your vehicles faster, for those repairs you need done in an emergency, or for first thing in the morning. 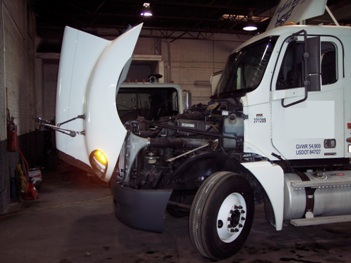 With our second shift, we are able to do preventative maintenance for your fleet at night or during weekends, keeping you from losing the use of your vehicle during the day. We are a state licensed inspection facility for all vehicles, motorcycles, automobiles, light and heavy duty trucks, and trailers. We are also a federally licensed DOT inspection facility for heavy duty vehicles. For mechanical repairs, Coletta's Garage is your local NAPA AutoCare Center providing you with a number of benefits, the foremost being integrity. NAPA AutoCare Center owners know that, as a consumer, you have the right to choose where you decide to take your vehicles for service. NAPA AutoCare Center owners provide services you can trust.